2017 was definitely the year of the sneaker. I remember going out as a 16 year old having to wear heels all the time. I think ever since the year of 2014 commercial footwear underwent a sneaker revolution. I say commercial because of course true sneaker fans have always been there. Firs the Converse All Stars (they go way back), then the air max, the Stan Smiths and now it's the luxe brands who want their share of the pie (and the high street brands who copy them). 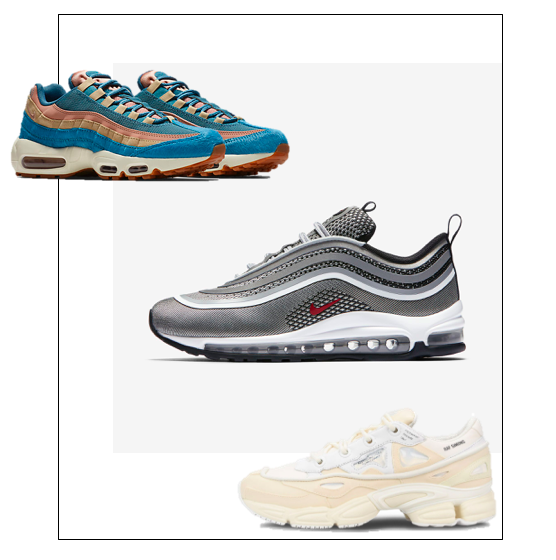 At a time where sneakers have become a wardrobe essential, the wide range of choice extends day by day. However, the prices rise in parallel. A sneaker is a sneaker. But a Balenciaga sneaker is expensive. And what do you pay for, really? The comfort of a sneaker cannot be equally as high as its price, since the more often you wear them, the sooner they will runout and won't look so new anymore. And that's what luxury items are all about; you want to treasure and take care after them so well that it becomes a contradictory when buying luxury sneakers. Not saying that I wouldn't give my money to a pair of Acne sneakers though. 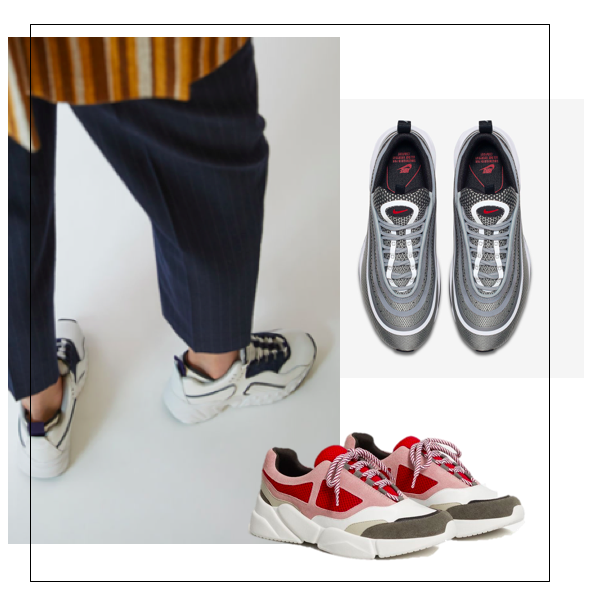 Below some of my favourites; Nike Air Max 95 LX, Raf Simons Ozweego bunny sneakers, Nike Air Max Ultra '17. What is your favourite pair?